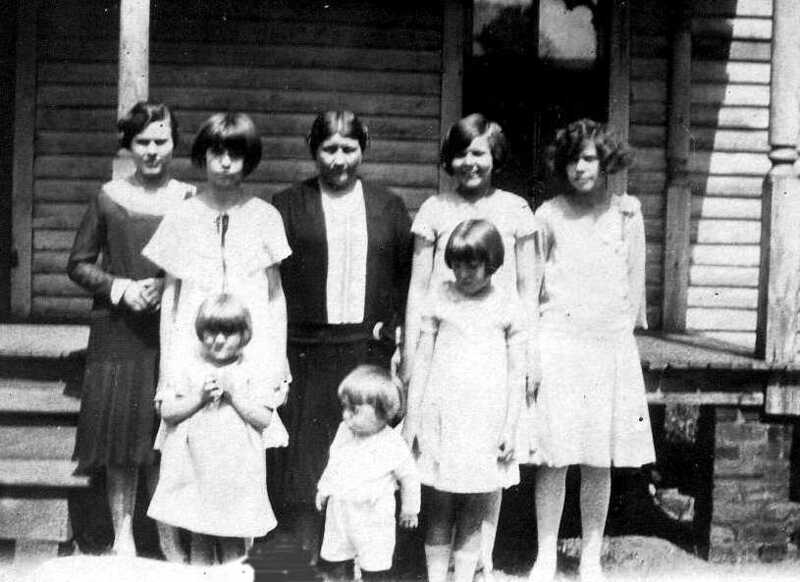 Mary Penina Hinshaw1,2,3 [Nannie Hinshaw4, Mamie Hinshaw4,5, Mammie Hinshaw4,6]. 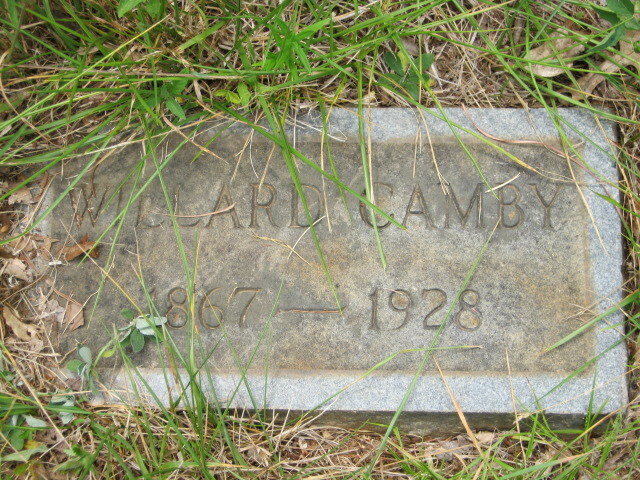 Robbins, W. Camby, head-of-household, age 42, born in North Carolina; parents born in North Carolina; first marriage, married 1 year 1 month; occupation: barber; owned farm (free). Robbins, Mayme P., wife, age 21, born in North Carolina; parents born in North Carolina; first marriage, married 1 year 1 month. Robbins, Willard C., head-of-household, age 53, born in North Carolina; parents born in North Carolina; owned home (free); occupation: barber. 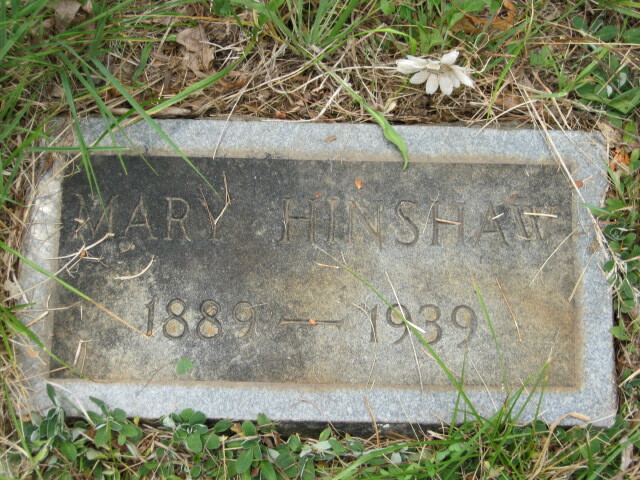 Robbins, Mammie P., wife, age 31, born in North Carolina; parents born in North Carolina. Robbins, Nell G., daughter, age 9, born in North Carolina; parents born in North Carolina; attended school. Robbins, Ruby A., daughter, age 8, born in North Carolina; parents born in North Carolina; attended school. 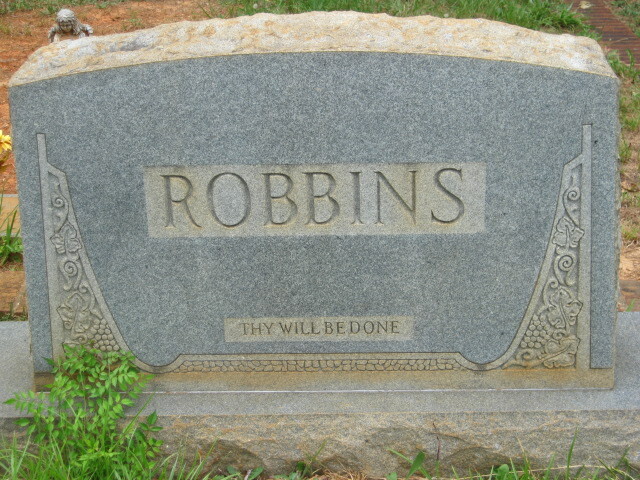 Robbins, Vera C., daughter, age 6, born in North Carolina; parents born in North Carolina; attended school. Robbins, Daisy O., daughter, age 5, born in North Carolina; parents born in North Carolina. Robbins, Nannie R., daughter, age 1, born in North Carolina; parents born in North Carolina. Robbins, Mrs. Mamie, head-of-household, age 41, born in North Carolina; parents born in North Carolina; married [sic]; owned home ($1100 value); no radio in home; occupation: none. Robbins, Nell, daughter, age 19, born in North Carolina; parents born in North Carolina; attended school. Robbins, Ruby, daughter, age 18, born in North Carolina; parents born in North Carolina; occupation: looper, hosiery mill. Robbins, Vera, daughter, age 16, born in North Carolina; parents born in North Carolina; attended school. Robbins, Daisy, daughter, age 15, born in North Carolina; parents born in North Carolina; attended school. Robbins, Nannie, daughter, age 11, born in North Carolina; parents born in North Carolina; attended school. Robbins, Ila, daughter, age 7, born in North Carolina; parents born in North Carolina; attended school. Robbins, W.C., son, age 3, born in North Carolina; parents born in North Carolina. Contribution from Rebecca Ann Wall. 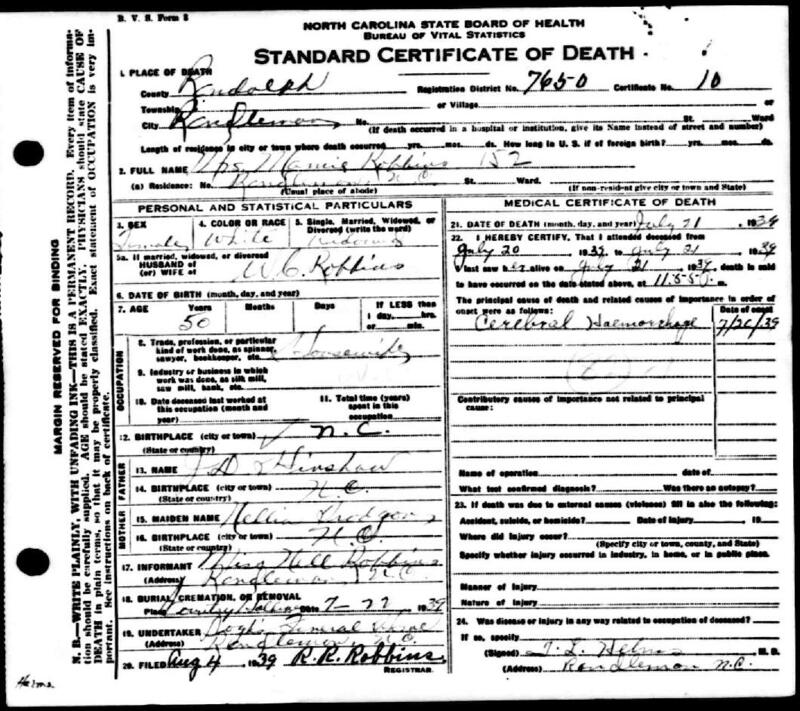 1920 census, Randleman Township, Randolph County, North Carolina; roll T625-1318, ED 113, page 13A, line #3, family #239. 1910 census, Randleman, Randleman Township, Randolph County, North Carolina; roll T624-1128, ED 96, page 3B, line #64, dwelling #47, family #50. 1900 census, Randleman, Randleman Township, Randolph County, North Carolina; roll T623-1213, ED 95, page 7A, line #17, dwelling #112, family #113. 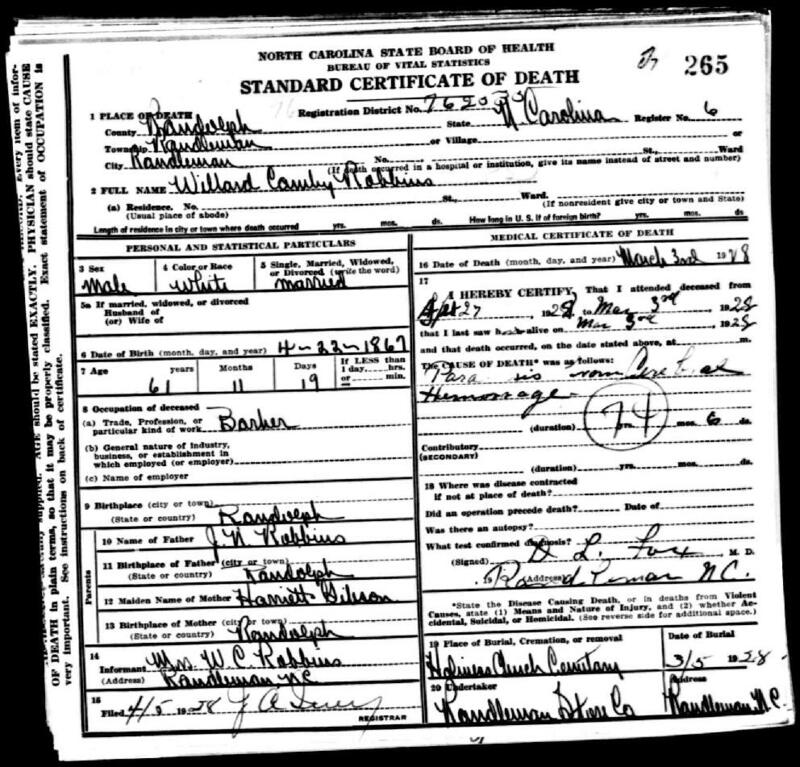 1930 census, Randleman, Randleman Township, Randolph County, North Carolina; roll T626-1715, ED 25, page 7A, line #20, dwelling #148, family #148. Ancestry Family Tree data posted by "ncengprf".